Carbon monoxide is a particularly dangerous gas. It is colorless, it is odorless and above all it is lethal. That’s why it is so important that CO checks are carried out by the book when a gas heating or boiler is being serviced or installed. This not only ensures that the heating or boiler is working properly, it also helps to prevent tragic accidents that occur as a result of carbon monoxide poisoning. A few seconds. That’s all it takes. That’s all it takes to be on the safe side and test the surrounding air for carbon monoxide. 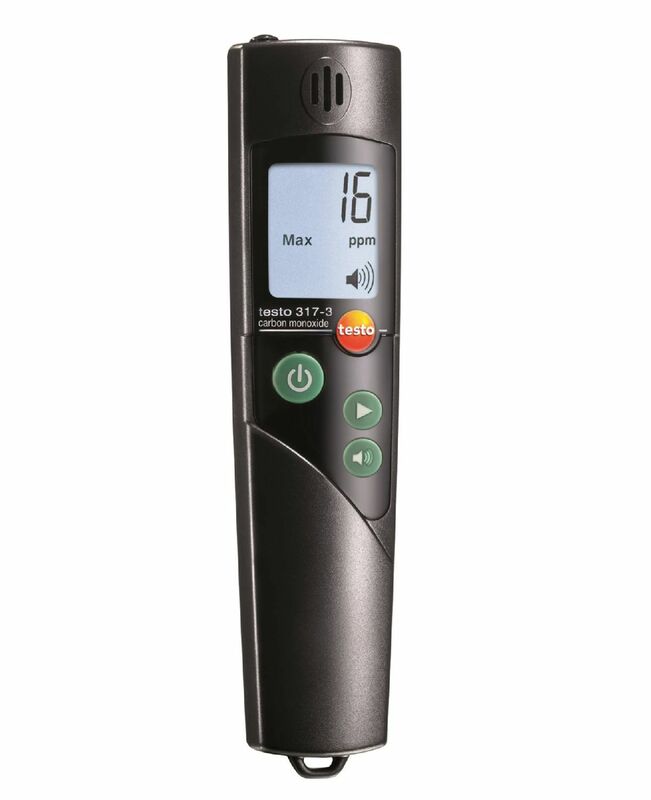 The testo 317-3 CO meter measures the concentration of carbon monoxide in the surrounding air and presents the readings on an easy-to-read display. The CO meter has both a visual and an audible alarm which are triggered when a threshold is crossed. The thresholds can be adjusted individually. The CO meter comes with a carry case and a belt clip to ensure that you always have your meter on you and a handstrap which can be wrapped loosely around the wrist to prevent the meter from falling onto the floor. And as if that wasn’t enough to convince you, the testo 317-3 also comes with a 3-year CO sensor warranty. There’s testo for you. 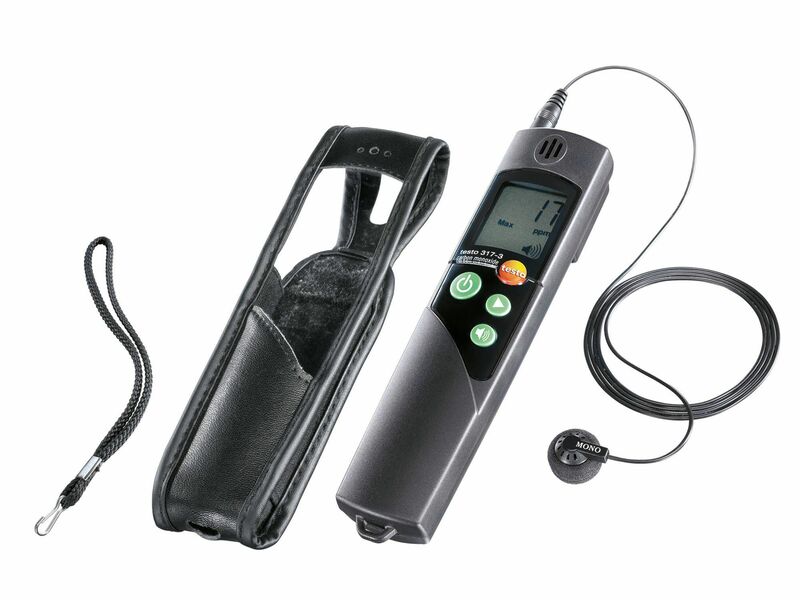 testo 317-3 CO meter for measuring CO in the surrounding air, carry case, belt clip, earphones, handstrap, calibration certificate. Carbon monoxide (CO) is a colourless, odourless and taste-free gas, but also poisonous. Its sources include the incomplete combustion of substances containing carbon (oil, gas and solid fuels, etc.). If CO manages to get into the bloodstream through the lungs, it combines with haemoglobin thus preventing oxygen from being transported in the blood; this in turn will result in death through suffocation. This is why it is necessary to regularly check CO emissions at the combustion points of heating systems and also in the surrounding areas.